The biggest bone that I have to pick with J.K. Rowling has entirely to do with the epilogue in Harry Potter and the Deathly Hallows. (If you're by some chance reading this J.K., I love your series, you're amazingly creative, and thank you for helping me in more ways than you could ever imagine (but I still stand by the following)). It pains me to watch Half-Blood Prince and Deathly Hallows. At the end of Half-Blood Prince, when Malfoy has disarmed Dumbledore in order to kill him, Dumbledore whispers to Snape, "Please." In Deathly Hallows, it comes to light that Dumbledore wasn't begging Snape not to kill him, but rather he was begging Snape to kill him. I cannot imagine the inner turmoil and pain that Severus must've felt in this moment. He had very little (if any) true friends other than Dumbledore. He knew that the Order and the Hogwarts students wouldn't trust him any longer. He knew that he very well may die without anyone knowing the truth - that Dumbledore had asked him to do this. Dumbledore had pleaded for the unimaginable in order for Harry to be able to face Voldemort and Snape to gain the Dark Lord's trust. And Severus did begrudgingly agreed. But let us not forget: Severus Snape chose to become a Death Eater. Whereas it can be argued that Draco Malfoy was essentially forced into his prejudice against less-than-pureblood wizards, Snape's father was a muggle. His mother was willing (and we can assume at some point excited) to marry his father regardless, so it's safe to infer that Snape wasn't taught this hatred in his childhood home. Although he was placed into Slytherin house, he chose to align himself with the pure-blood supremacists (and we know that not all Slytherins have to end up evil, e.g. Slughorn). Nothing made Severus Snape want to leave Voldemort's side until Lily's safety came into question. Although in the movie we are shown that Snape begged Dumbledore to protect Lily, James, and Harry, in the book we learn that he only asked for Lily to be saved. In my not-so-humble opinion, Severus did not truly love Lily. Yes, he turned around his life to protect her, but he didn't care about saving the two people that she loved the most: James and Harry. Snape did not see the error of his ways, rather, he just wanted the woman that he loved to continue to live. He promised Dumbledore to do anything for him in order for Lily to survive. And so Snape's allegiance changed. He and Dumbledore trusted each other (more than anyone that has ever existed ever, if you ask me). Snape was willing to kill Dumbledore. Snape was willing to stay at Hogwarts in order to protect the students during Voldemort's reign. He was killed by Voldemort even though he knew that his death would be fruitless for the Dark Lord. Before the Battle of Hogwarts, however, Severus spent years terrorizing students. My boy Neville Longbottom was so dang terrified of Professor Snape that his boggart turned into him - showing that his literal greatest fear was his potions professor. I've disliked teachers, but I've never been that afraid of one. Neville's nerves aside, Snape consistently referred to individual Hogwarts students as idiots. He took a personal childhood vendetta and escalated it, attempting to "out" Remus Lupin as a werewolf. He showed a ridiculous amount of favoritism to his own house and a ridiculous amount of prejudice against Gryffindors, especially Harry. All because Harry looked like his father who had bullied him as a child. Now, I'm not saying that James was a great man either. But one might argue that James - who, if you calculate the information that we're given throughout the series, was probably about 21-years-old when he died - matured. He grew up. He got married and started a family. He was in the Order and fought against Voldemort, which ended up getting him killed. And Snape was still a Death Eater. He was a talented wizard with amazing potential, but he threw it away to become a supremacist (sound familiar, anyone? (I'm talking about Voldemort here)). He was mad that Dumbledore did not "protect" Lily (which he couldn't, because of Peter Pettigrew's big mouth), but he kept to his promise (and I have to give him props for that). But while looking out for Harry (like when Quirrel tried to knock him off his broom), Snape couldn't let go of his CHILDHOOD BITTERNESS. He constantly shamed him, punished him, and showed his deep resentment towards him. One might argue that he was emotionally abusive to his students, and in particular, Harry. Now look - I am probably the biggest grudge holder that I know. It is not easy me to forget when I have been wronged, but I'd like to think that I would never take this out on a child. I can happily state that I am not a member of the KKK (which, if you hadn't noticed, is eerily similar to the Death Eaters). 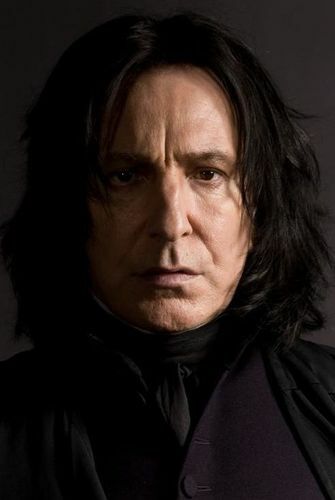 Even with my countless flaws, I'd like to think that if I were in Severus's shoes, I would be a better man. And this brings me back to the epilogue of the entire series: out of all of the men that Harry could've named his son after, he chose the worst two men in his life. I've already written about my feelings towards Dumbledore, but Severus did not deserve this honor either. He spent his adulthood killing and torturing, and then manipulating and abusing. J.K. Rowling does a good job at establishing character flaws, but I'd argue that many other wizards deserved for Harry's child to be named after them. What about Remus, who taught you how to protect yourself and died for you? What about Sirius, who came to your aid when you needed it most? What about Arthur, who welcomed you into his family as one of his own? What about Dobby, who lived a life of servitude (and no, I don't care if Dobby is a weird name for a human boy)? What about Rubeus, the purest of men and arguably the one who acted the most as a father to you? But despite all that they sacrificed for your health, safety, and happiness, you chose to name your son Albus Severus Potter. Severus Snape did not live a happy life, but it was entirely due to the choices that he made. He chose the bad, over and over and over again. And he never showed remorse for his past. So YES, Severus Snape sacrificed himself. He came to the "good side" (not really for his own change of heart, however). He did some very difficult things that Dumbledore asked him to do. But Severus Snape is no hero. He was a brave man, but not a good one.